I've been holding on to this recipe for a while. I'm sorry, as it's one I really wanted to share before dropping the propoints recipes. I made it for a gathering just before Christmas with my Dad and they went down really well. It's one of those recipes that takes quite a lot of time but not a whole lot of effort - it mostly needs to be left alone for a really long time. I made use of this recipe as a basis and then tweaked it a little. Put flour, parmesan and salt into a bowl. Rub in the butter and add the yeast. Add the milk and rosemary to the bowl. You'll be left with a stickier dough than I'm used to! Cover and leave to stand for an hour in a warm room I sometimes use the airing cupboard if the house is a bit colder. Mist your work surface with frylight and knead the dough briefly, no more than 15 seconds. Return to the bowl and leave, covered, in that warm place for an hour. Preheat the oven to gas mark 2. Separate your dough into quarters and roll out thinly. Cut a straight length off and then roll into a long thin tube. Try to be gentle with it! Lay on a baking tray lined with nonstick paper (although I found that it didn't stick badly without). 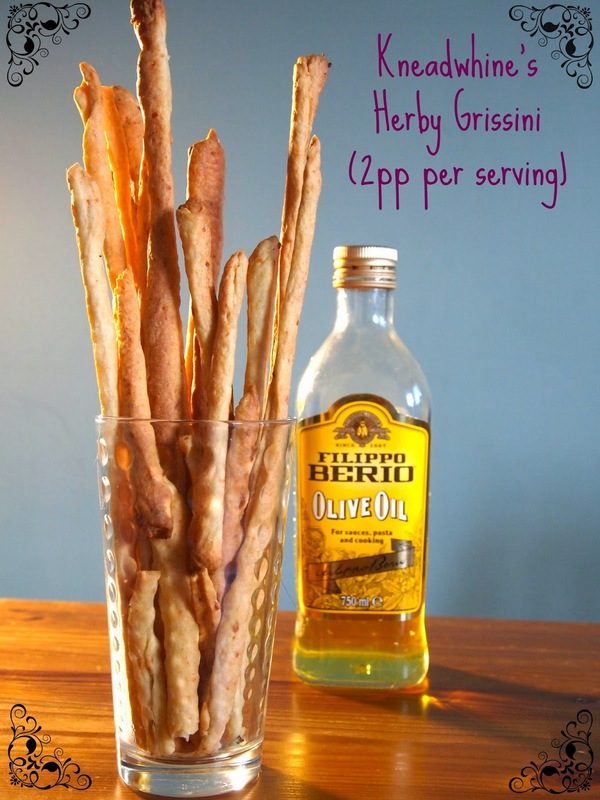 Bake for 40 minutes, until the grissini are golden and crisp. They are better if left to cool and harden slightly. I found that they kept for five days stored in an airtight container. When's a vegetarian pizza not a vegetarian pizza?